“Yes, the operation was outrageous,” said the New York Post. But as Rosenstein acknowledged, the indictment contains no proof of a Trump-Putin plot to steal the election. The Internet Research Agency began meddling “more than a year before anyone thought Trump would run.” The only reason the Russians began favoring him in mid-2016 is because Clinton “was the clear favorite,” and so the best target to slam to spread discord. Like everyone else, the Russians could never have dreamed that Trump would actually win. Trump is far from exonerated by this indictment, said Abigail Tracy in VanityFair.com. 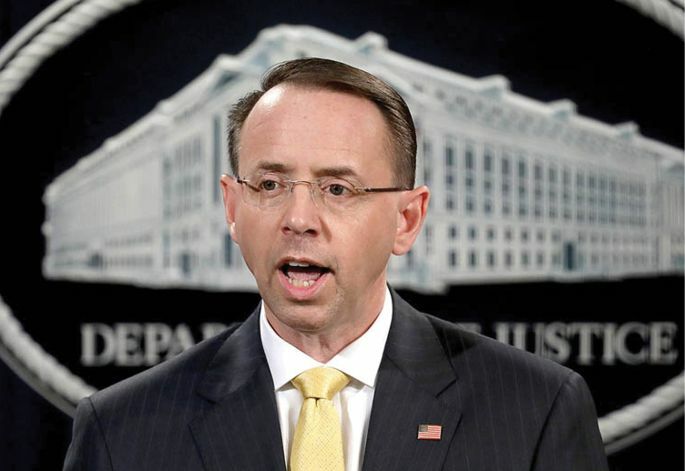 Rosenstein spoke “carefully”: He acknowledged there was no allegation of collusion in this particular document, but the indictment says nothing about the hacking of the Democratic National Committee’s servers, or “Donald Trump Jr.’s infamous June 2016 meeting with Russian lawyer Natalia Veselnitskaya.” And while no one knows Mueller’s next chess move, he just systematically laid out Russia’s criminal activity—shattering the illusion of a witch hunt and making it harder for Trump to fire him.